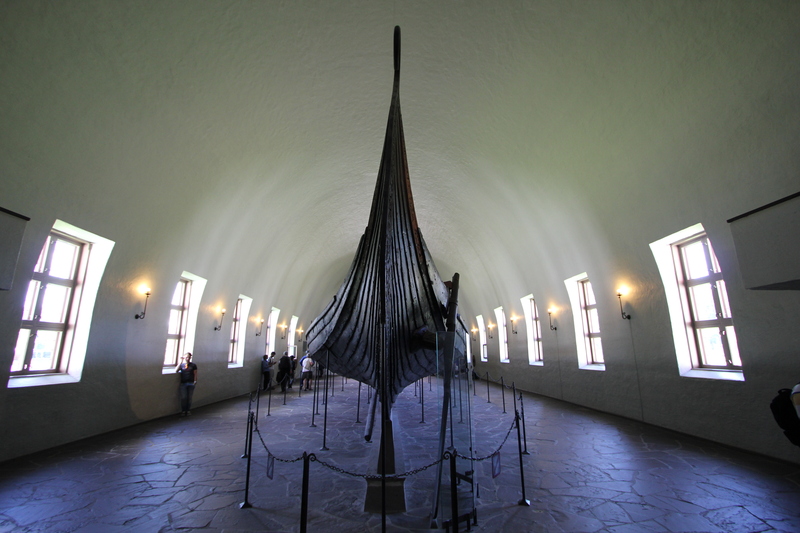 The Vikingskipshuset, or Viking Ship Museum, lies on the Bygdøy Peninsula to the west of Oslo City Centre. It is one of the most popular tourist destinations – beware the coach tours! What can be a relatively peaceful museum trip at one moment can turn to a throng of chaos the next. 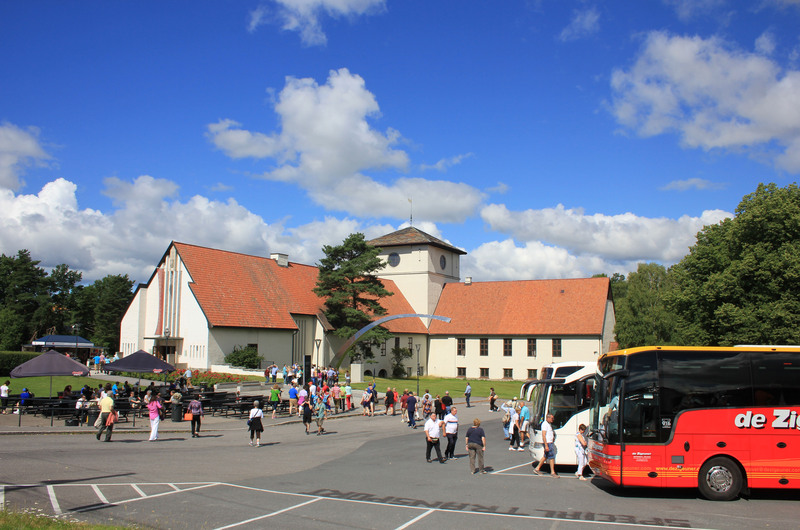 The viking ships on display have not floated on water for thousands of years, but are almost launched into a sea of people whenever a coach tour turns up. Luckily these tours seem not to last too long. All of a sudden the human tide turns and the museum halls are empty again (at least until the next coach tour turns up). In this next picture the coaches have just pulled up and the tourists are beginning to pile in. The sea of heads in the background shows how busy it is about to become. I didn’t take any pictures after this – you couldn’t see anything through the crowds. 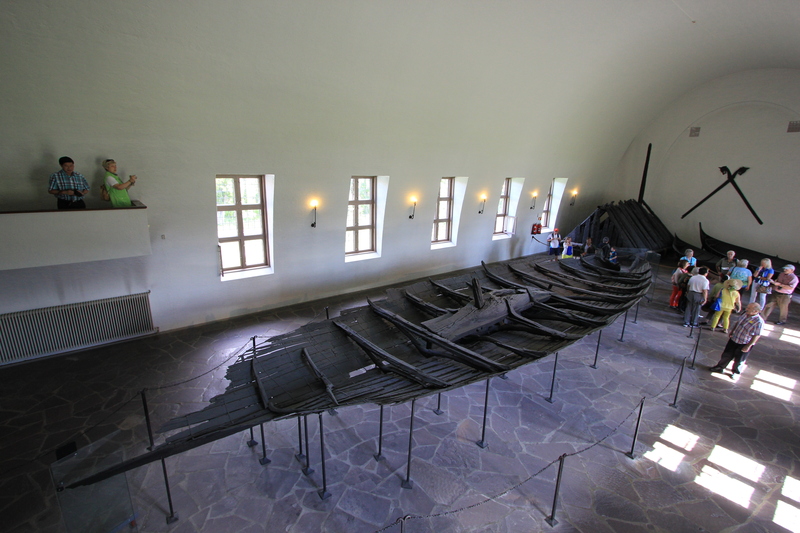 The Viking Ship Museum displays three ships, excavated from burial mounds and dating back to between 820 and 910 AD. Before they were put to rest as burial ships they had been at sea for several years. Although two of the ships are impressively complete, the third (the Tune ship) had been severely damaged over the years. As well as the three ships, the museum houses the partial skeletons of two of their interred guests and many artifacts which were found with them. Some of the artifacts I admired the most were the animal head posts. These heads were found (with a fourth) in one corner of the burial chamber of the Oseberg ship. They were bound together with rope. One of the heads had a piece of rope in its mouth, as if it were a rein. They were fastened to a pole, half a meter long. A tapestry also found in the boat illustrated a procession of people carrying things looking like these heads aloft. Nobody really knows what these heads were used for. Indeed, there is a huge amount about the Vikings that is unknown. I found this quite surprising. Absolutely everyone has heard of the Vikings, yet when you get down to it not a huge amount is known about them. As for the other artifacts, all three of the ships had been looted in Viking times, so it is speculated that this is why no jewellery or weapons were found. There was still an impressive haul to be found. Of all the artifacts, two things in particular caught my attention. They were a strange thing to grab my attention, but there you go. I think it was because they were in such good condition, and also because they were so personal. 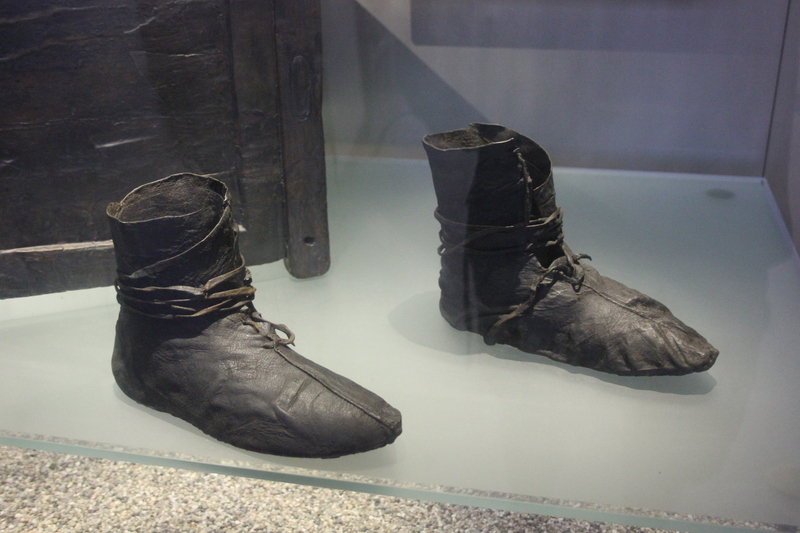 Here they are: a pair of boots, over 1,000 years old. Somebody wore these, and we will never know who that person was. 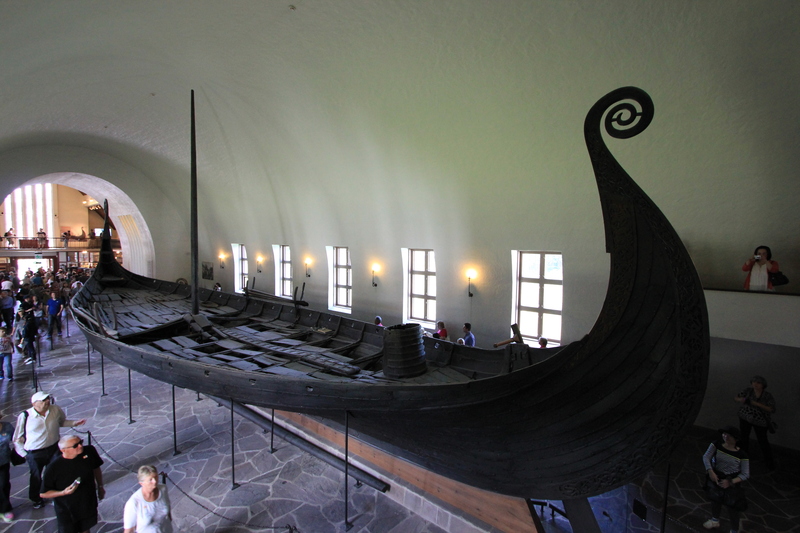 This entry was posted in Norway and tagged longboats, Norway, Oslo, ship, tourists, travel, Viking Ship Museum, Vikings, Vikingskipshuset. Bookmark the permalink. You mean your first name isn’t Rolling? That was the best name of any person I knew…..